Everyone knows that the Valley has great sushi bars. A lesser known fact is that the Valley is also the home of many of LA’s best barbecue joints. My favorite is Uncle Andre’s BBQ in Studio City. 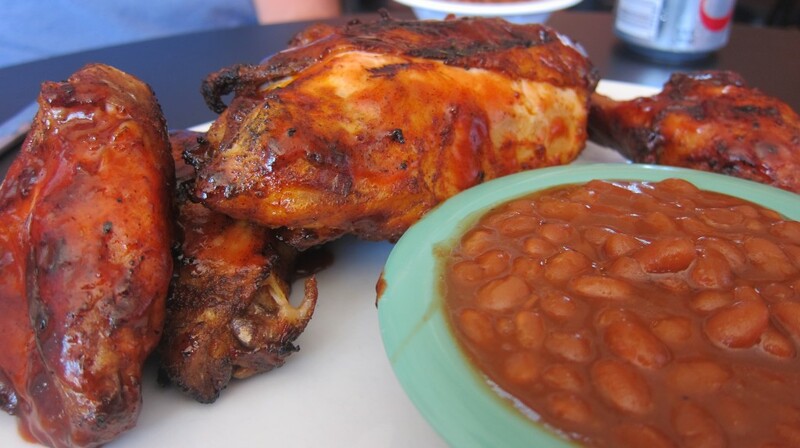 A true hidden gem and a hole in the wall, Uncle Andre’s serves both amazing Southern style barbecue and soul food. At first blush, you might not be impressed. The restaurant is a small, poorly decorated hovel in a dull Valley strip mall. You place your order at a window and then wait for a long, long time — typically between 30 and 45 minutes unless you call ahead. 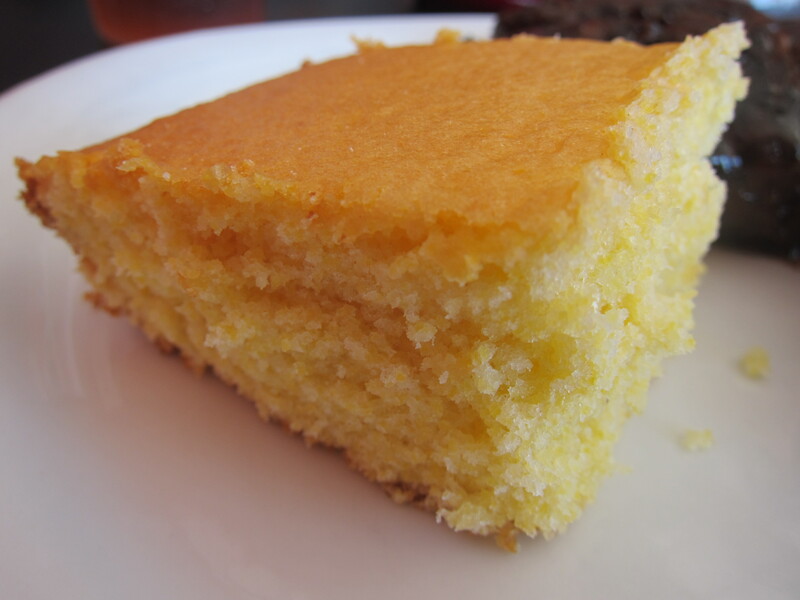 But none of this really matters because the food, when it finally arrives, is so damn good. The barbecue is top notch; generous portions of perfectly cooked meats slathered in a delicious tangy and slightly sweet sauce. My favorite dish is the excellent Angus Boneless Beef Ribs. 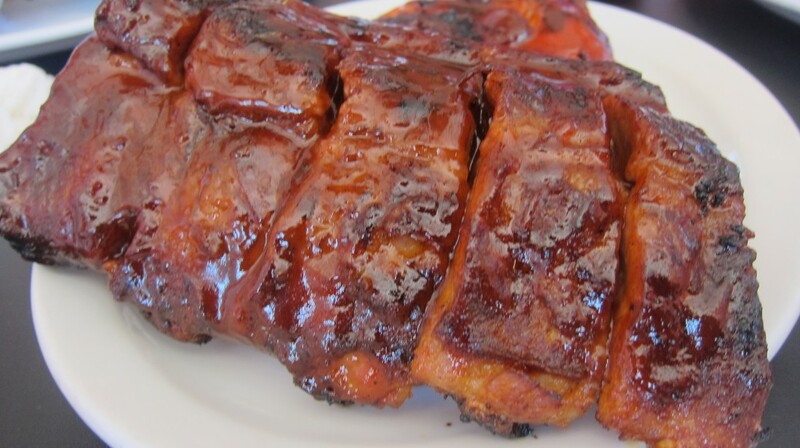 The Baby Back Pork Ribs and Barbecue Chicken are also great. 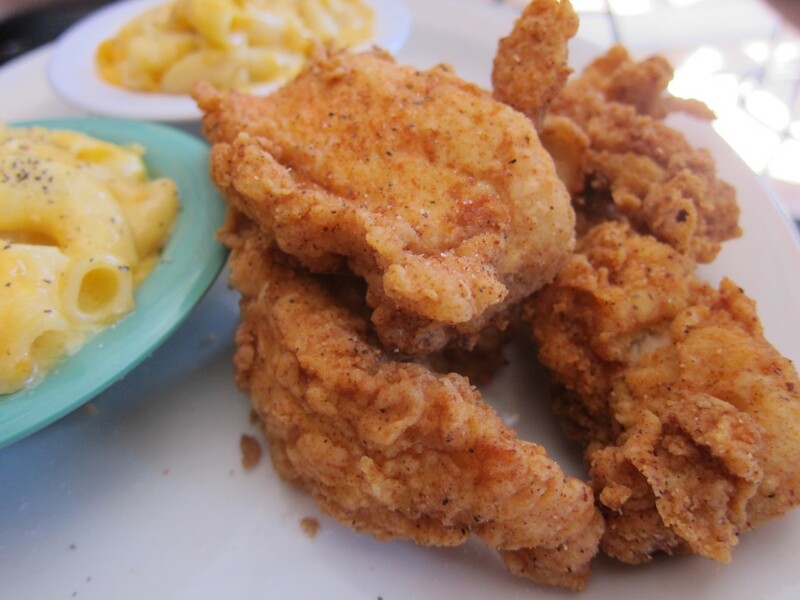 There are Fried Catfish Nuggets, Hush Puppies, Fried Chicken (with or without waffles) and tasty Chicken Tenders. 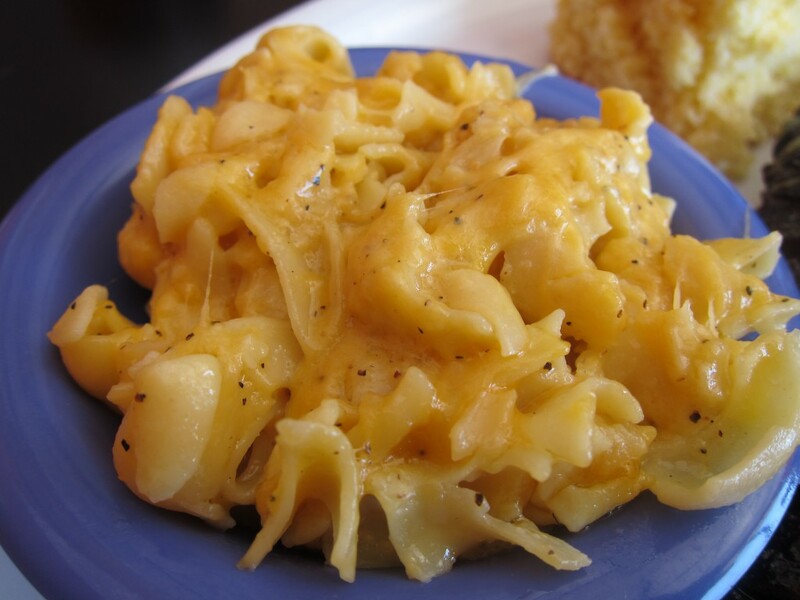 Make sure to order the Mac ‘n Cheese; it’s one of the best in the city. Other sides include Cornbread, Collard Greens cooked in vinegar, and yummy BBQ Baked Beans. On Fridays, they serve Gumbo until they run out. 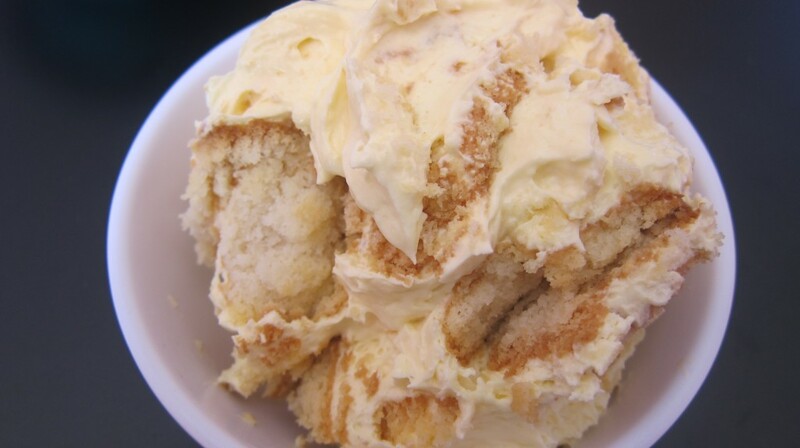 Get the Banana Pudding for dessert. You can thank me later. 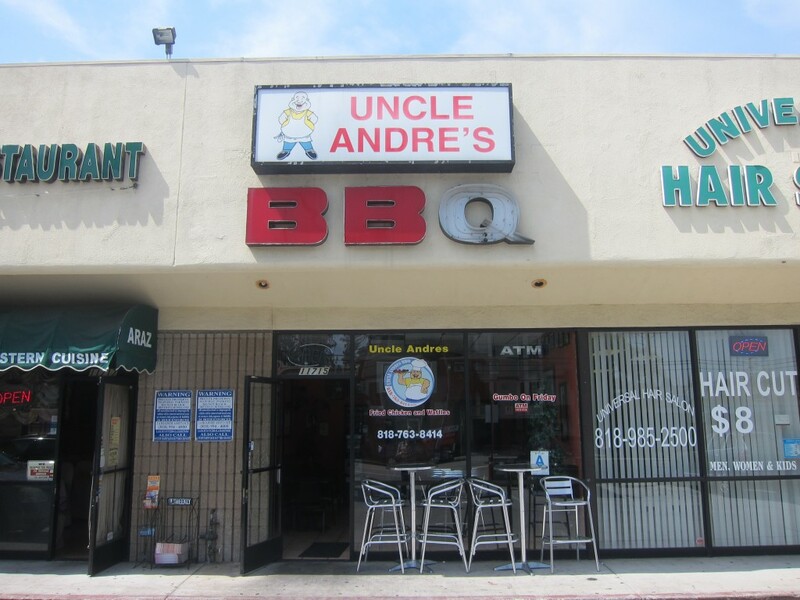 Uncle Andre’s BBQ is located at 11715 Moorpark St. in Studio City. That place looks awesome, I want everything you ordered!